I love to travel, and when an opportunity presents itself to incorporate work with travel it’s a major bonus! 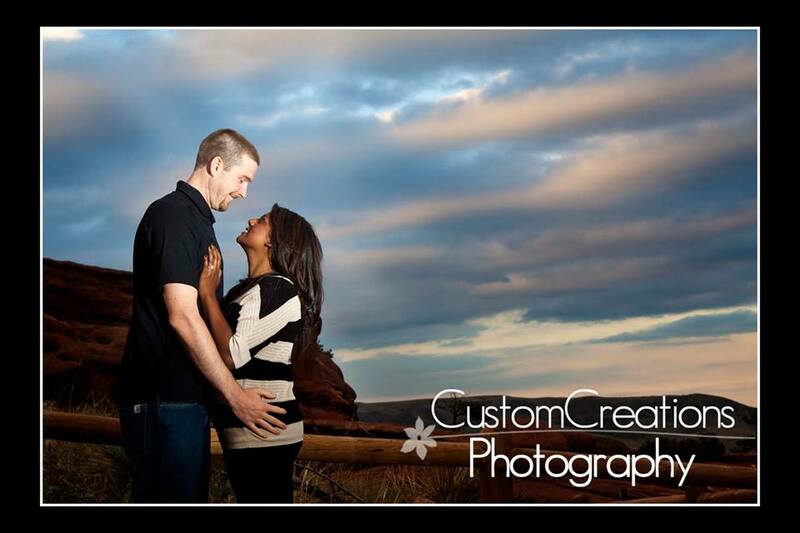 I will be photographing Karlee and Josh’s wedding here in the Twin Cities next summer, but they live in Denver, CO. They had asked if I would consider the possibility to coming out there to photograph their engagement session. Having been there several times, I know how incredibly beautiful it is and how unique there images would be, so I squealed with a YES! The Friday before I headed out to CO on a week long road trip, a devastating flood hit the canyon area from Estes Park down to just north of Denver. It was incredibly sad to watch the local news and see the devastation Mother Nature had created within this beautiful state. Karlee and Josh had chosen Red Rocks as the location for their shoot, and it was entirely perfect. We were running late because of horrible rush hour traffic, but the timing couldn’t have worked out more perfectly for the setting sun and lighting over the mountains! After the shoot they took me out for an amazing dinner in downtown Denver at one of their favorite restaurants, and I really got the chance to get to know them as a couple. They are very much in love and totally adorable! I am absolutely thrilled with the photos we took, and even more excited to photograph their wedding next May!